This is awesome. How could anyone not love the first lady?! 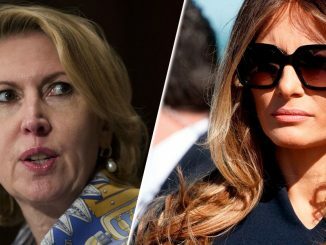 “First lady Melania Trump has not been treated the same by the media as her predecessor Michelle Obama was, or still is. But with children it’s a different story, even if it’s one the media will never tell. 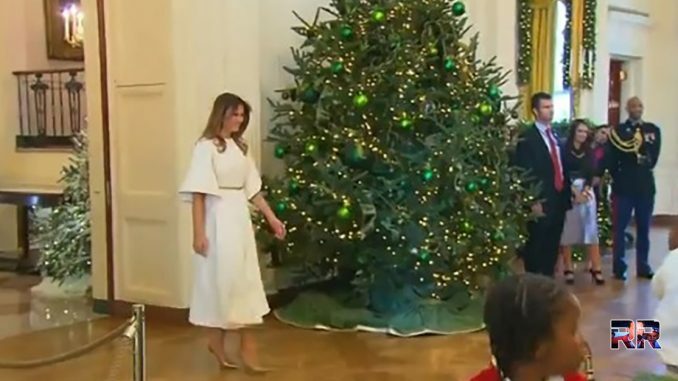 We begin with this sweet moment captured on video of a group of children greeting the first lady during a White House Christmas event. Their reactions are priceless. It is apparent from the video that she is quick to respond to the children with affection and care. And they are loving every moment of it. “Are you the First Lady! ?” a boy asked as he embraced Melania Trump during the White House Christmas event. A few days ago Melania Trump packed comfort kits for our active duty service members who are deployed overseas. After hearing of the tragic deaths of 3 of our troops in Afghanistan, Melania asked for all Americans to volunteer to help out our men & women in the Armed Forces. Aren’t you glad we have Melania as first lady & not Bill Clinton as first husband? Share this if you love what Melania does for the country!